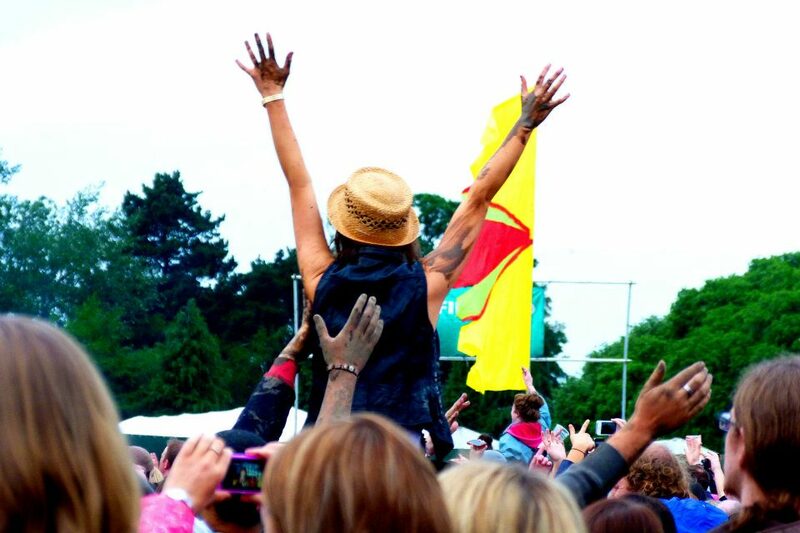 Latimer: I’m not a festival goer- let’s just say that straightaway. I’ve been enjoying a few gigs, here and there. I like the intimate setting of a small venue. 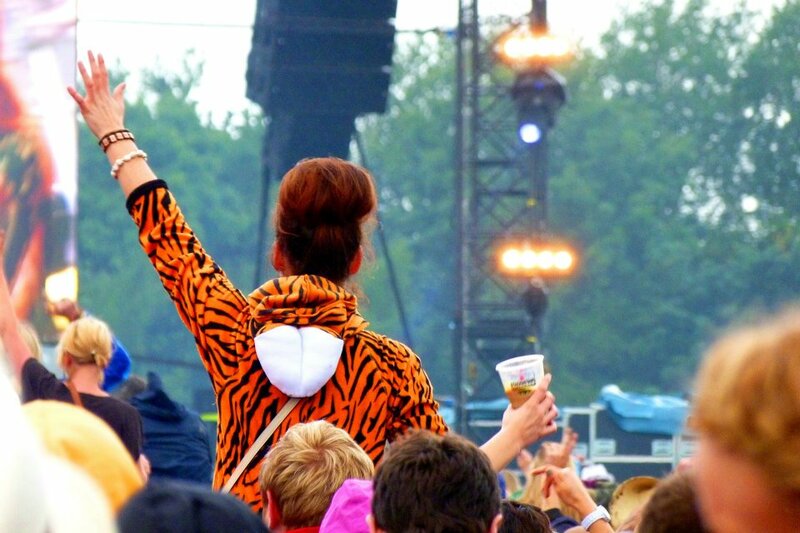 But the first and only major music event I attended was when I was a wee child of fifteen. Ridley was there too. 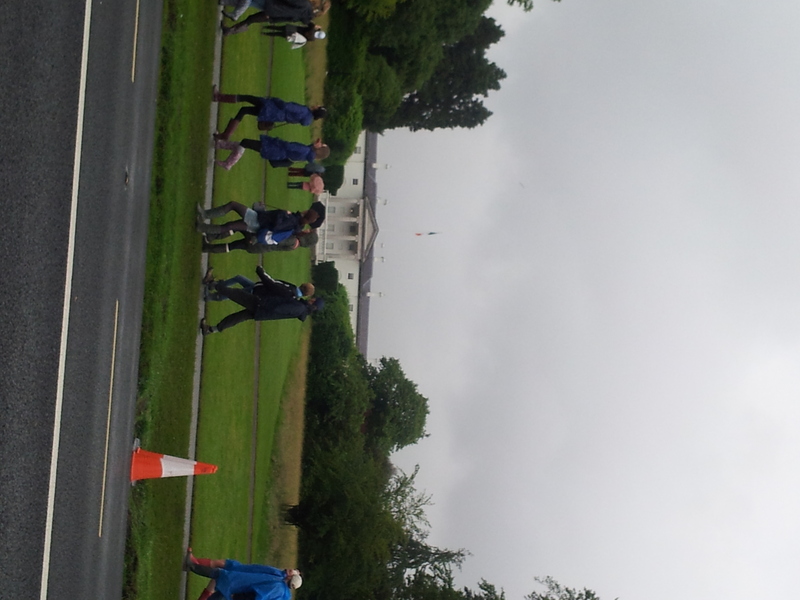 It was Slane castle; we went to see The Red Hot Chilli Peppers. Myself and Ridley were well out of our depth. We were lost on a hill with heavy drinkers, heavy party-ers, no tea and most importantly no creature comforts. She won’t like me saying this, but we spent hours on that parched hill, in the blistering sun, wondering, when, when could we just go home! It was torture. While our other friends swayed, we guarded bags. I remember someone actually came into our protective circle, picked up my friend’s bag and walked away. Determined I plunge after her, and nabbed it back (sounds more forceful than it was, I literally just took it back!). The sad thing about this is, we actually got so annoyed by being there that we both left before the ‘Chilli’s’ even started. Ridley does find this a bit cringe-worthy to this day. It’s not a story that would make music-lovers treat you well! 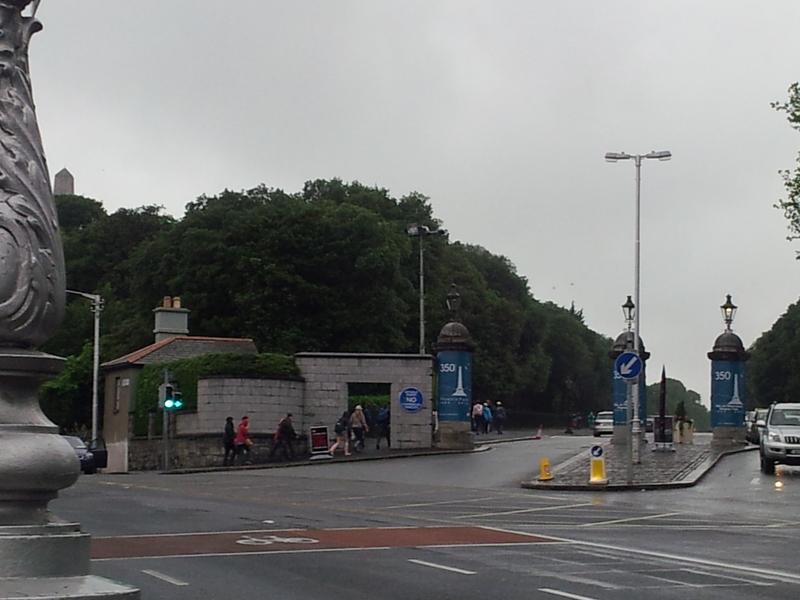 So, the Phoenix Park was, ‘ding-ding’, round 2 for me. 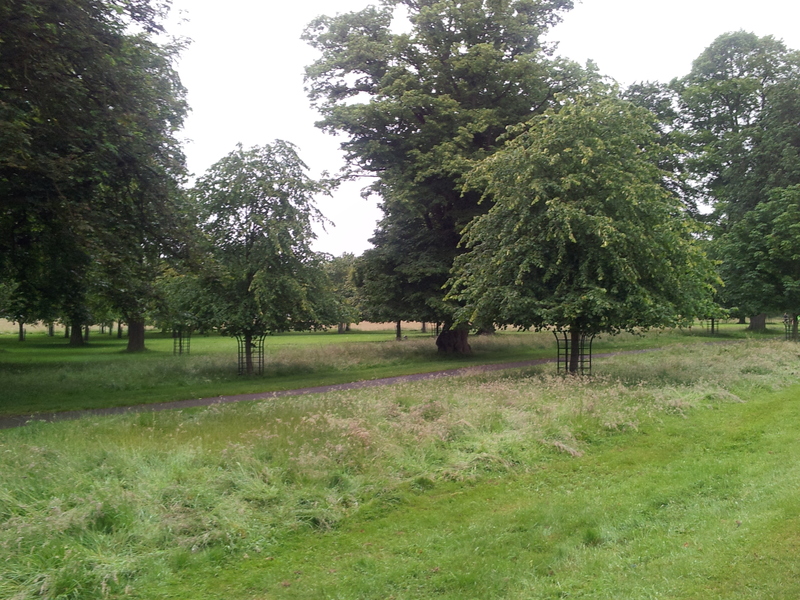 First off, the Phoenix Park is a very nice park in Dublin. Though Sunday was a very grey and rainy day, so picture quality was limited. I gaped at her, I had known her years and never once heard this story. Why I pressed? Why was she in the Áras? ‘I was at a Saw Doctors concert in the garden’. That was plain weird. Now, I wanted to know why were the Saw Doctors playing a concert in Mary Robinson’s garden? It was a pretty rainy day. We were kitted out in cheap welly-boots bought in the Irish retailer of Primark goods (Pennys) (probably the equivalent of Wall-MART, though I’m only guessing at that, as I’ve never been inside a Wall-MART before… though for some reason, I want to go to one!). We were all moving in a pack. It seemed like everyone was going to the concert. 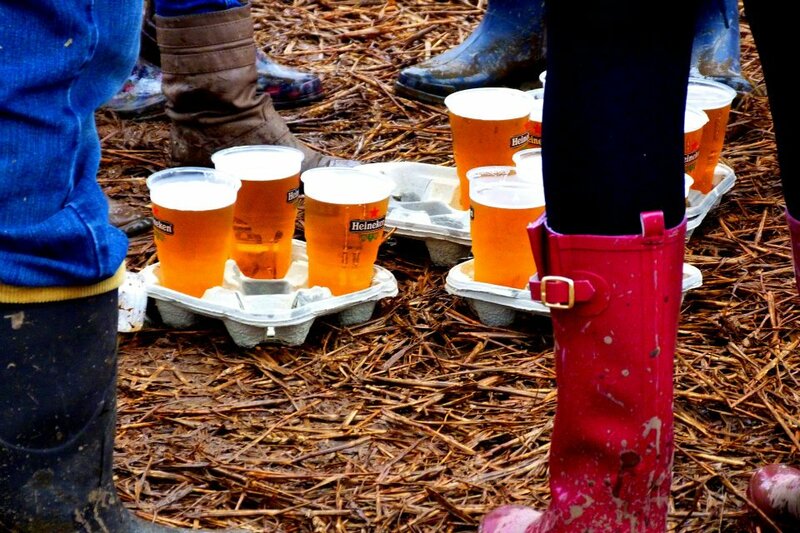 Everyone knew each other by their wellys and rain-jackets- basically everyone was a walking Penny’s advertisement. I saw my boots repeated too many times to count over the course of the day. 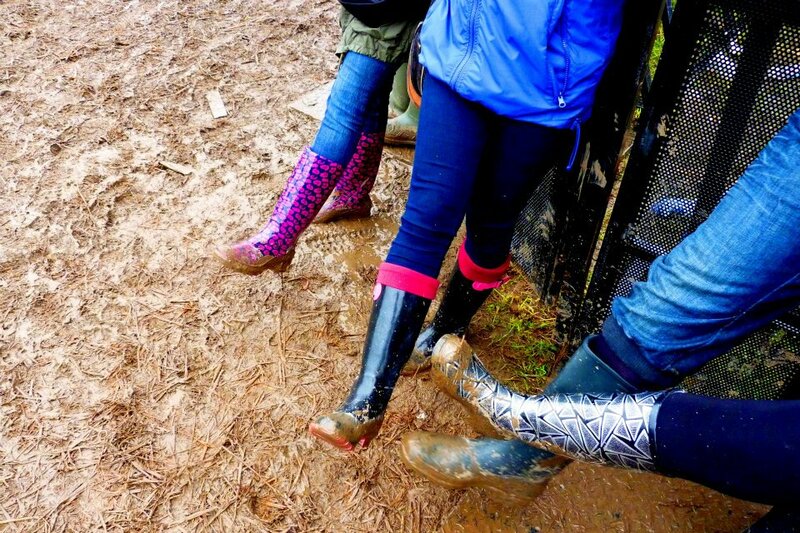 By the time we got to the concert, we were already talking about how great our wellys were and how we were ready for muck-war. And muck-war we got. I have never experience such a vast amount of muck before in my life. We were herded into the main arena, through cattle gates. Patted down and checked for alcohol. I snapped a picture of a girl dressed as a cow going through the gates. I found out later that said girl was stowing lots of bottles of vodka in her udders, and was subsequently ejected from the arena. Once inside the arena, I scouted the field- food, check, toilets, yuck, check… massive stage dominating the skyline check! Hurrah, we’d made it! We staked out a spot by one of the massive hoists near the stage. A meeting spot if anyone got lost. 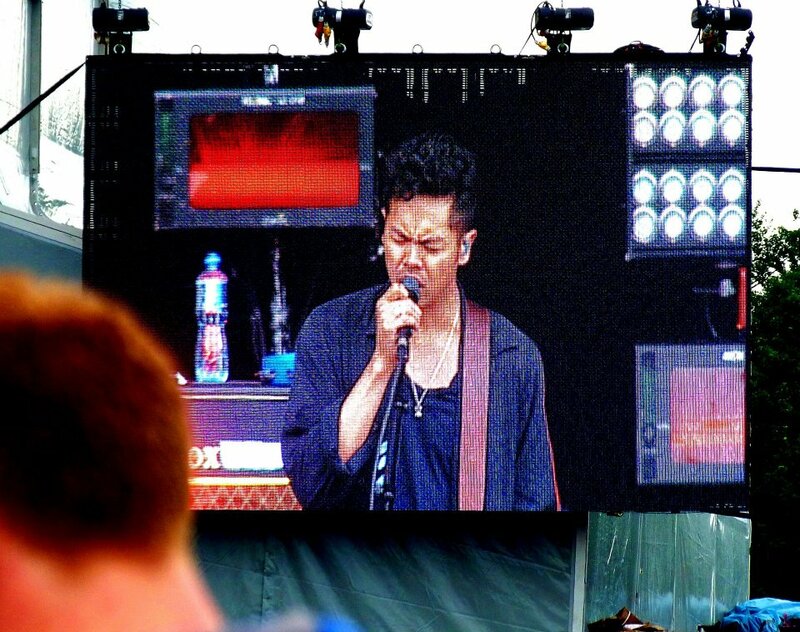 The concert started with The Temper Trap- they were good, but not as good as I thought they’d be. Somehow I don’t think I’m feeling their new stuff. 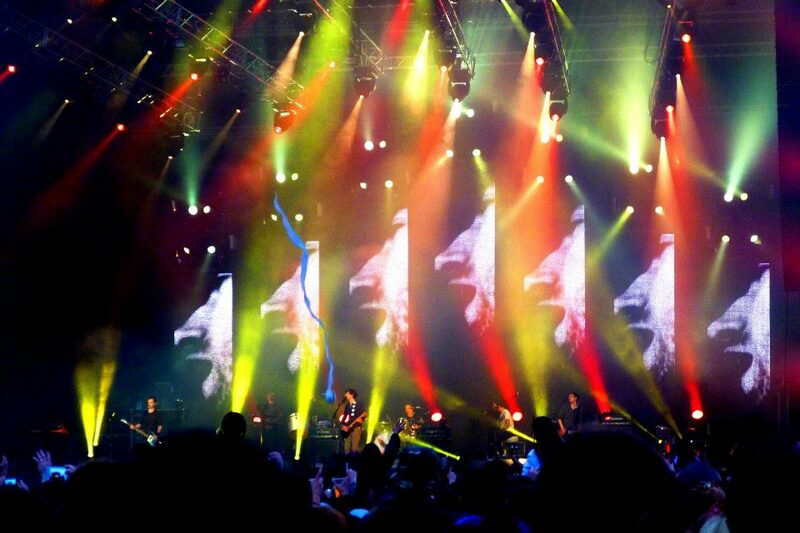 But I love the old album… when they played Fader, the crowd surged! Afterward, we waited for Florence and the Machine to set up. That was taking a while; Orbie decided she wanted a drink. So I went with her to the O’Brien’s sandwich trailer. As we waited to be served- Florence appeared on stage. Orbie looked back at me, her face panicked, “NO!” she mouthed as Flo started singing. 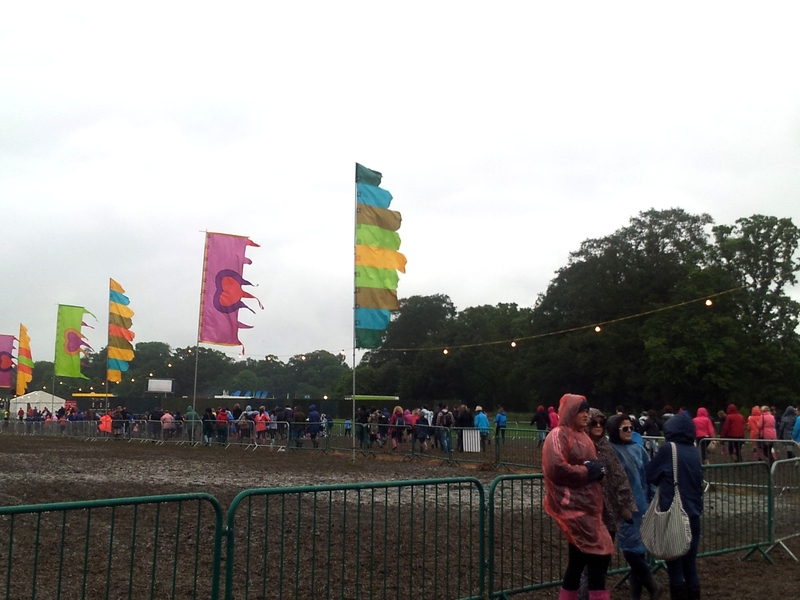 I waded back into the mud, to look up at the stage. When Orbie got her drink, we struggled back to the stage. But people were surging forward now, a massive crowd. We ducked and wove through them; we couldn’t move too quickly because the muck was sticky and I was panicking over what would happen if I fell out of my boots! I wove through a huddled circle of people- protecting their drinks between them. 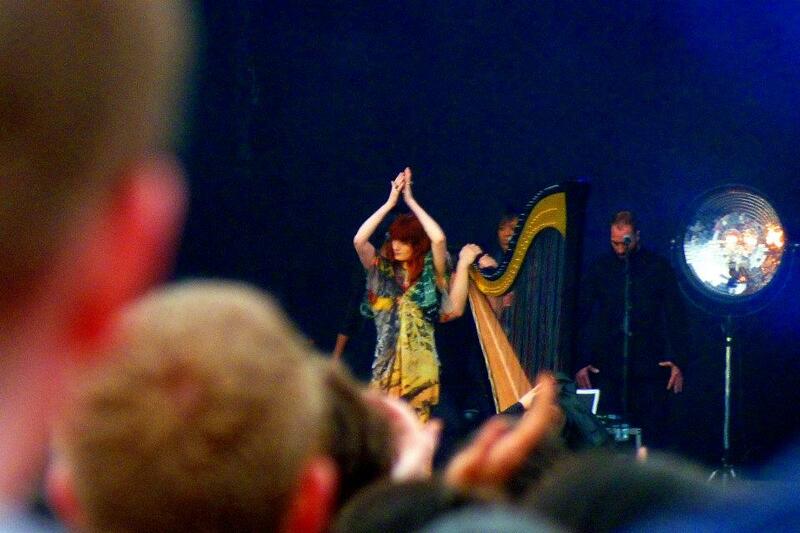 Florence was an angel. She jumped, and floated around the stage like a force of nature. There was something very ethereal about her. She’s a free spirit. She wore a flowing dress and gliding down to slap the hands of her adoring fans, who were straining to reach her. One banner read ‘Hey Flo, want to shake it out with me later?’ another stated ‘Flo! Marry me!’. 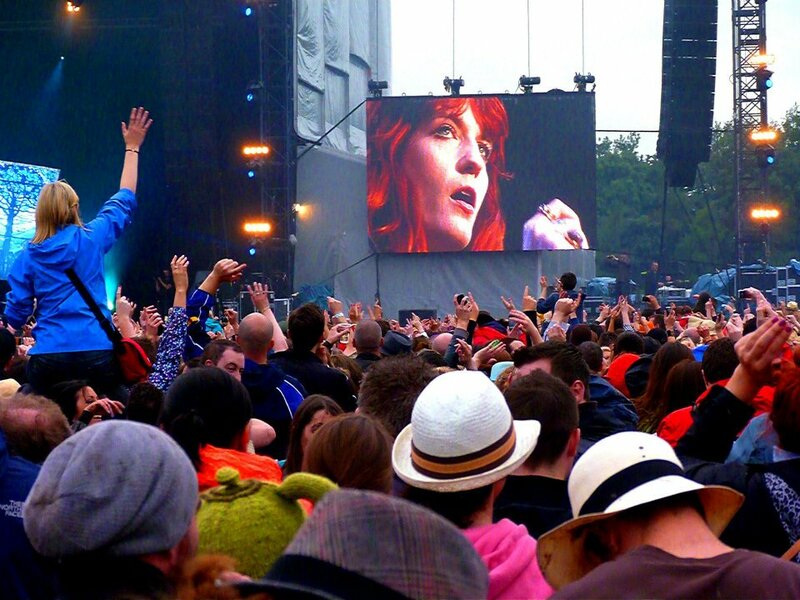 When Florence asked people to get up on each other’s shoulders and sway- they did. When she asked people to jump, to sing- they did! It was like for that split moment we were her giant, multi-person-ed, puppet. Her set reminded me how great her Ceremonials album is… wow..
Pad Thai in tow, we stumbled back to the stage; mud wrestling had started up and various drunken girls and boys had started to toss each other around the field. 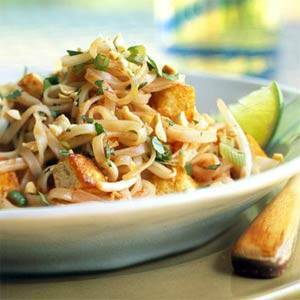 Myself and Orbie stood with our Pad Thai and watched Snow Patrol, happy smiles on our faces as the world turned to muck around us. Snow Patrol were brilliant. 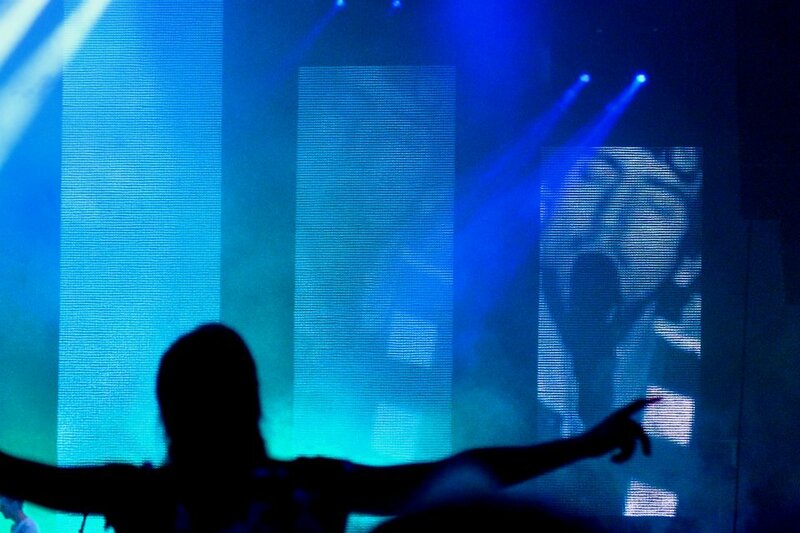 While I preferred Florence’s music, I found that Snow Patrol got the crowd going in a way Flo hadn’t. But then, maybe she had warmed us up? I’m not a massive Snow Patrol fan- I don’t even have one of their albums, however, everyone knows Chasing Cars, and when it started, I swayed, gobbling down my yummy noodles (with wedge of lime and heap of coriander- the ‘crowd divider herb’ I’m starting to realise- Orbie despises it- but I think it’s KING of herbs). We had been in the park since 5pm. It took us about 2hours all in all to get to the stage from town. It was Sunday evening, my back and feet were killing me. The rain had left us in a murky haze for the entire day. But it was all somehow very cool. Woman to the above man: “AHHH! I thought we’d gotten rid of you!” Which begged the question, had they come to the Park just to lose him? The woman and her friends started singing a song; like they were racing on horses, the ‘na na na nananananananahhh nanananana ananah’. It has no words, it’s just sounds. We finally plodded out of the park and passed this interesting piece of graffiti on the way. The book spines were left blank and a message had been left on the bottom, stating ‘add your own’. 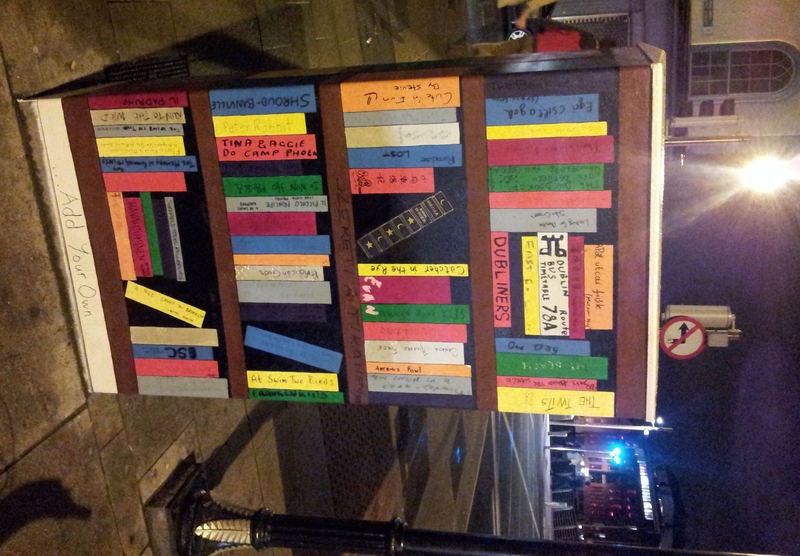 So people had written their favourite books names on the spines- there was even a Chinese one there, which was pretty cool. When we got home again, we debated what to do with our mucky boots as we have no outdoor space. We left them soaking in a basin and went to bed at 1am. 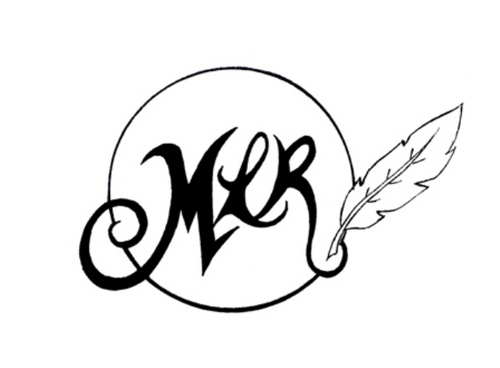 The following day, the dreaded Monday, I was so tired I wanted to cry. But all in all, a very cool Sunday! I think you just described my corner of heaven. Ha, cool. It was pretty amazing! I always want to go to concerts and then end up regretting it! Have you not seen ‘Rain Man’ the movie with Dustin Hoffman and Tom Cruise? I know what you mean, sometimes you think ‘it will be great’ then it’s hell on earth! Never good if people can’t sing live though- always better off with a CD and a nice cup of tea then! Oh, well, speaking for myself (Latimer) I haven’t seen Rain Man, but I know of it.. if that means anything! Oh, better you than me! The only concert that i went to was a Cat Stevens one where everyone there had cigarette lighters lit at the same time in homage to him. It scared me to death. This was an inside concert! You are right about Wall Mart: don’t ever go there! I can just imagine that Cat Stevens concert! If I’d been at it, I’d probably have been shouting ‘My hair, stay away from my hair!’ The lighters look cool from on high (the stage) but not down in the trenches! Wow, Cat Stevens, that’s pretty cool though. Was he any good? Yep, I can imagine the fear of fire breaking out! I’d worry people might accidentally set my hair on fire in that situation! Scary! Yes, I totally loved Cat Stevens and still do. He was gifted but I never went to another concert just bought the records. Summer sure is a season for fairs and festivals! Ceremonials, one of last year’s top bests! It definitely is! Though I wish it was a bit more summery here for them. You’re so lcky to have seen them. I have albums of each bands mentioned here. Yeah they were all bands I wanted to see so it was an amazing line-up! 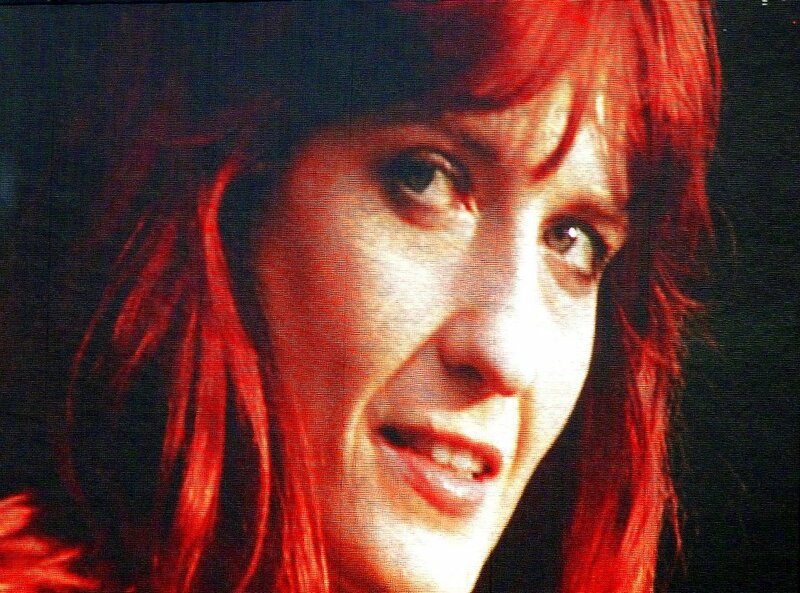 You’re right, Ceremonials is such a great album- Florence and the Machine are brilliant. They’re incredible live too. You left before the Chilli’s came on? It must have been bad. Sounds like you got a raw deal. Minding the bags while your ‘friends’ partied? Hahaha. 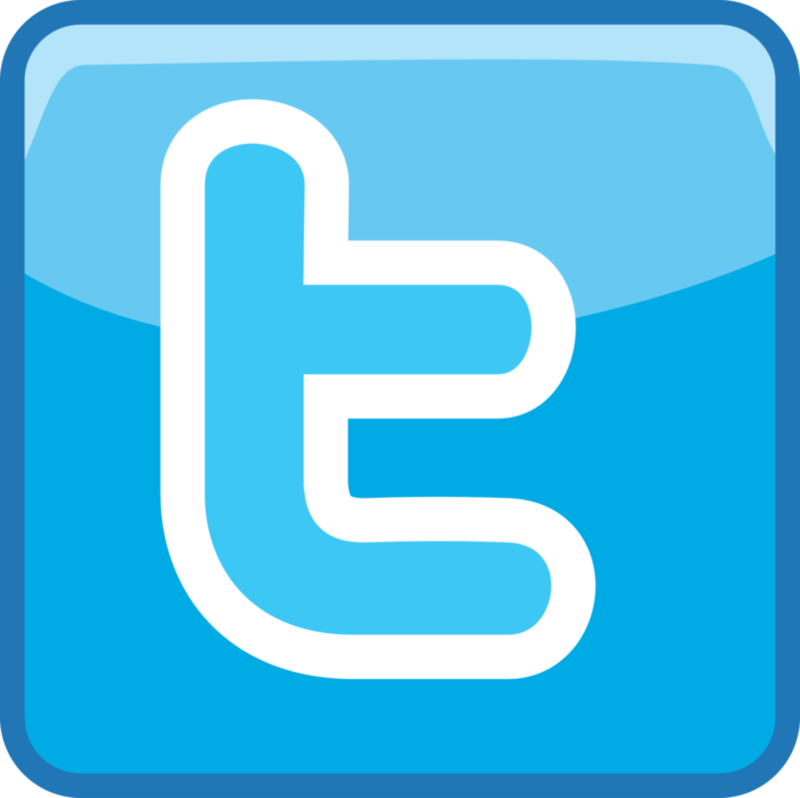 With friends like those…. Florence and the Machine are awesome. What a voice she has. Ridley: Pretty much!! Haha! It’s a shameful secret of ours that we left before they came on! Now as we look back, we cringe at the memory and wonder, could anything have been that bad that we left!? Though, one part I do remember is being rained on, I got absolutely soaked, so I bought a very overpriced plastic poncho, the sun came out for the rest of the day (of course! Haha…) and I then turned into plastic condensation filled greenhouse! One day we’ll go back and see them in concert, they’re meant to be brilliant too! Yeah, Florence and the Machine are absolutely amazing! I’ve started listening to Ceremonials on loop now… I’ll hate it eventually!